“Permeable Divide” by Ellen Rachlin called my attention by the cover first. I loved the artwork, and the title of this poetry collection was intriguing to me. I expected pages filled with rhyme, and melody as the words played between themselves, but that is not what I found. Instead I found depth, reflective thought expressed in sentences that related or contrasted each other, about all faces of the human experience. The author shares with readers different expressions of her own thoughts choosing words not because of the melody they play with each other, but how their meanings complement each other. This type of poetry is new to me, so when I began reading, I had to pause for a moment and put some thought into it to figure out what I was reading. But once I decided to abandon the rhyming idea, a whole new way of expression opened up. Each must wait their turn. One month is not enough. For hope to acquiesce to loss. Failure had the stronger case. Regret became the final stop. 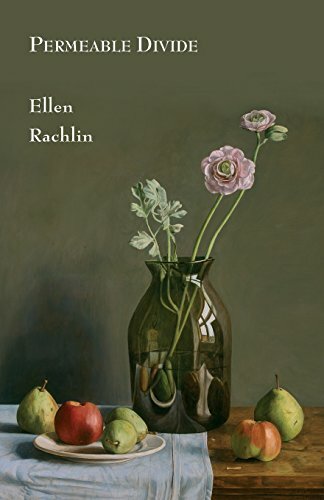 “Permeable Divide” by Ellen Rachlin is not a rhyme game collection; instead it is a captivating, deep thought collection that induces reflection in the reader. This collection is not to be read in one sitting from start to end, but should be read randomly when our heart wants to speak to our mind. Definitely food for thought!